Well, hi! Nothing like months of silence. Our 2nd precious girl arrived at the end of July, and we have been figuring out life as a family of four since. Her nursery is not yet complete, and I'm guessing it will be a good while before it is, but I will share here as soon as it's finished. We have had lots of other projects in the works, however, and I'm excited to share all the details. One of these projects, redesigning my 4 year old's big girl room, was unplanned, last minute, and not supposed to begin until next year. However, in October, Scotch Blue approached me about a new product and related contest, so we pushed all other projects aside and dove in headfirst! 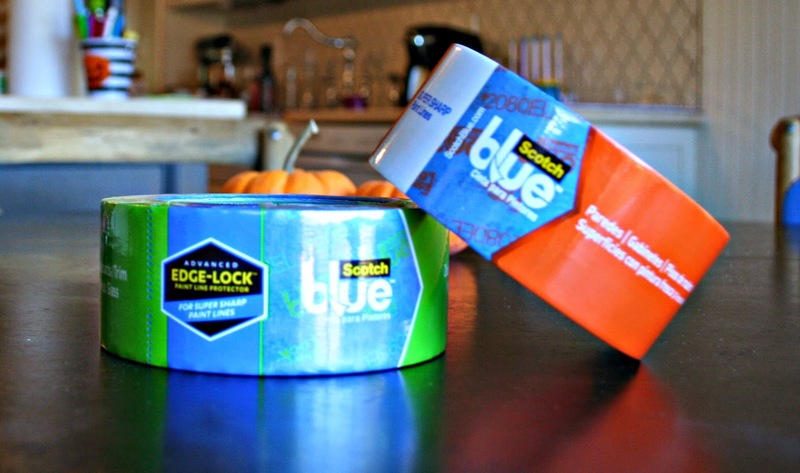 I was provided with samples of ScotchBlue Painter's Tape with Advanced Edgelock, and encouraged to come up with a creative project to be entered into the Home of ScotchBlue Contest. 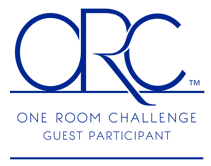 The winner of the contest will receive $5,000! 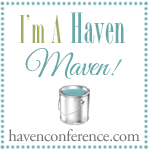 Anyone is welcome to enter the contest, so get your creative juices flowing! 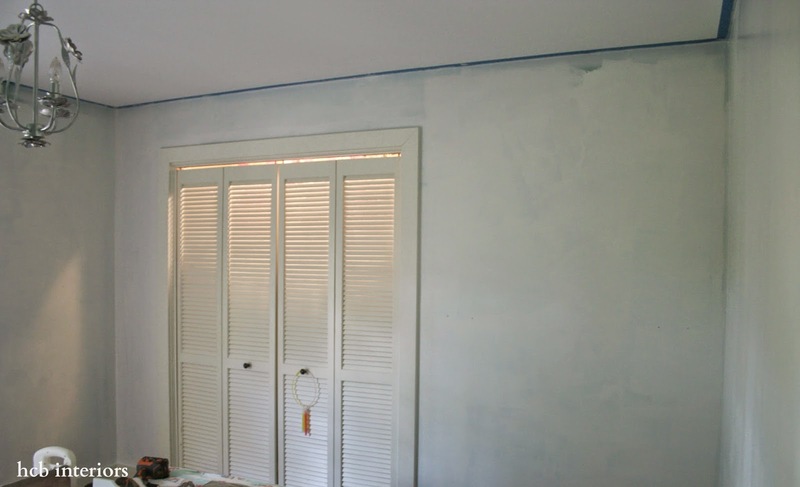 To enter, you must submit a project using ScotchBlue Painter's Tape for under $100. See all the details at ScotchBlue's website, here. Remember how I mentioned that I did not plan on even touching my oldest daughter's room until well after the New Year? This is because she has very specific ideas for her room, and I knew that recreating the entire room would take time and money, both of which we are short of at the moment. But, when I read that the project had to cost under $100, it got me thinking. What could I do to get the most bang for my buck? She originally told me she would like stripes in her room, but that seemed a little more predictable to me. 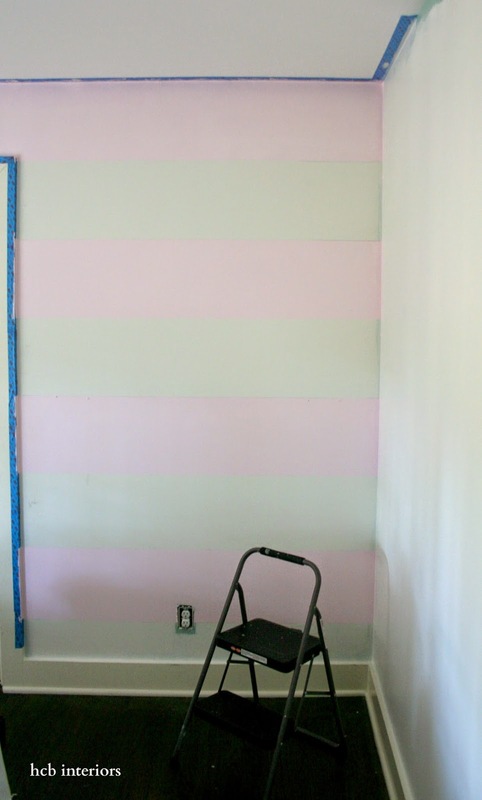 I like stripes, and, in fact, plan to paint some in my laundry room (in the far future!) but she has a big personality and needs a room to match. 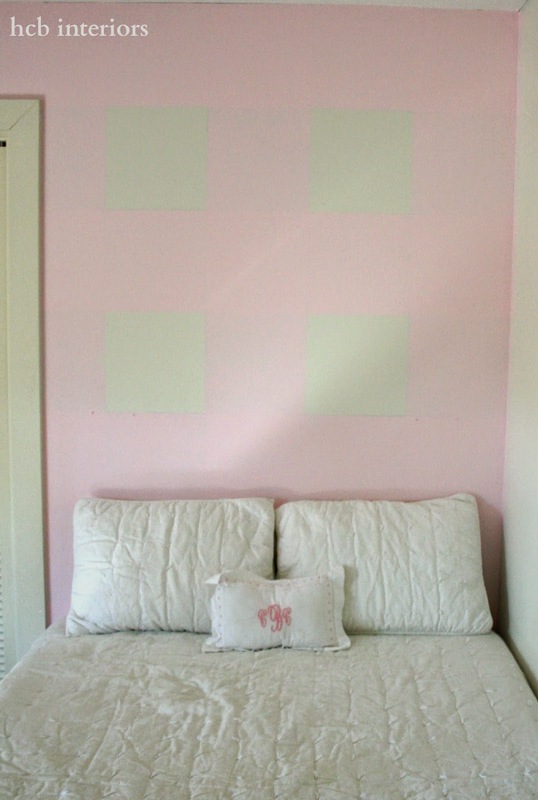 I finally decided to give the wall behind her bed a gingham wall treatment. A touch of preppy for me, a favorite color for her, and a more unusual choice for the sake of design. It probably took me a little longer than it would have had I been painting a room other than a child's bedroom, but because she couldn't be in there while the paint dried (and it must fully dry between each step), it took me a few days. I would paint in the morning after she woke up, and then have to wait until the next day to move on to the next step. But I think this could be easily done in one full day or perhaps a day and a half. I actually really loved the original paint color, but she has been begging for pink for over a year. And if the fickle 4 year old mind doesn't change after that length of time, I think it's safe to say she will be happy with this change for a long time. 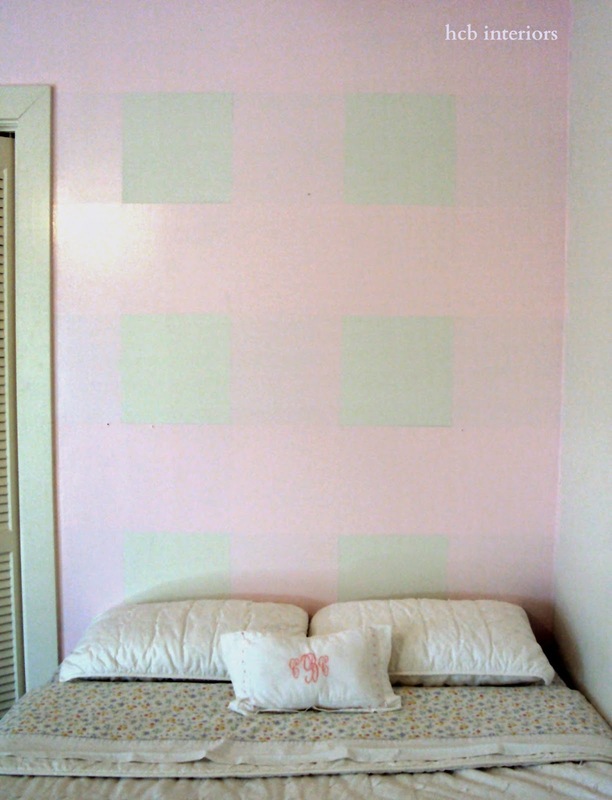 Below are the steps for creating a gingham wall in your own home. Paint the entire wall white (or whatever you choose for your base color). You don't have to perfectly paint the whole wall (as you can see by my photo), but make sure the parts of the wall where your base coats will show through have a nice, thick coat. 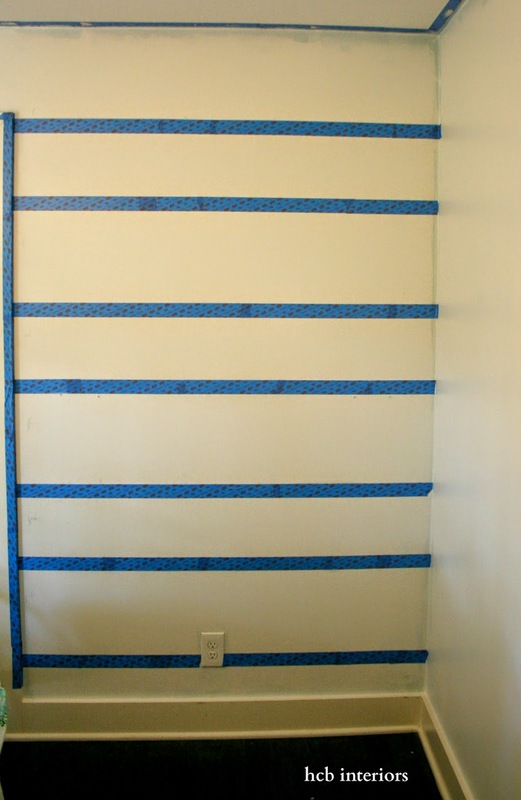 After marking the stripes on the wall, I applied the ScotchBlue Painter's Tape with Advanced Edgelock. I used the one made for delicate surfaces since our drywall is old and tends to tear easily. 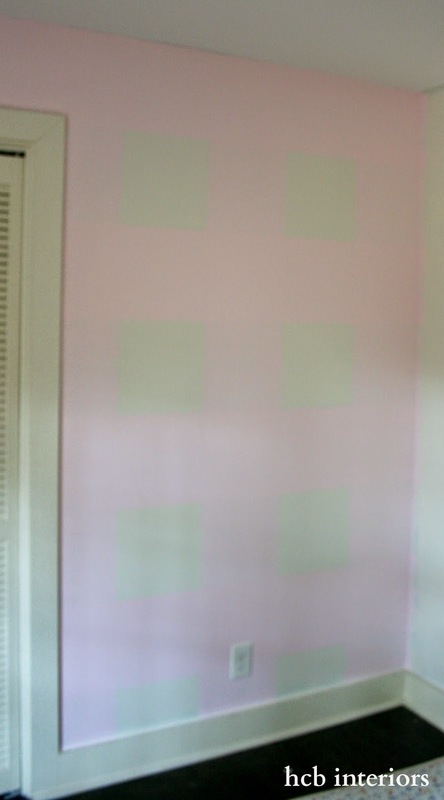 I marked with pencil a P for pink in every other stripe, starting at the ceiling, so that I would not get confused as to which stripes to paint and which to leave alone. Also, the stripes you are painting need to cover your marked lines, so the tape will be on the outside edges of the stripes to be painted (pink for me) and the inside edge of the white stripe. Thus, your white stripe will look skinnier, when the tape is up, than your color stripe. Paint your color stripes, painting OVER the tape. Remove the tape while the paint is still wet to reveal the stripes. I have to admit, I was skeptical that the lines would be perfectly edged. I can't tell you the satisfaction I got from seeing those crisp, straight lines. There was not one speck of paint that had bled through the tape. 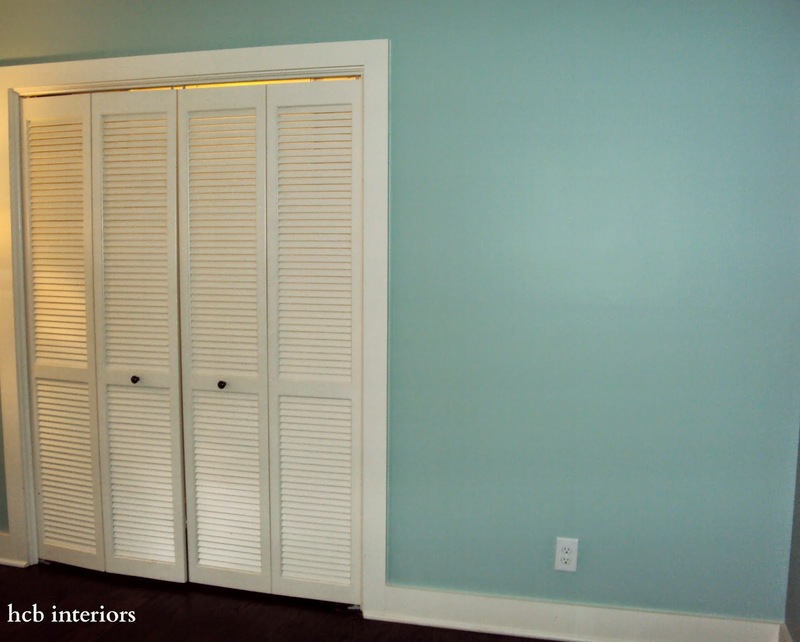 When the paint is completely dry, use a level to mark the vertical stripes (also 12"). 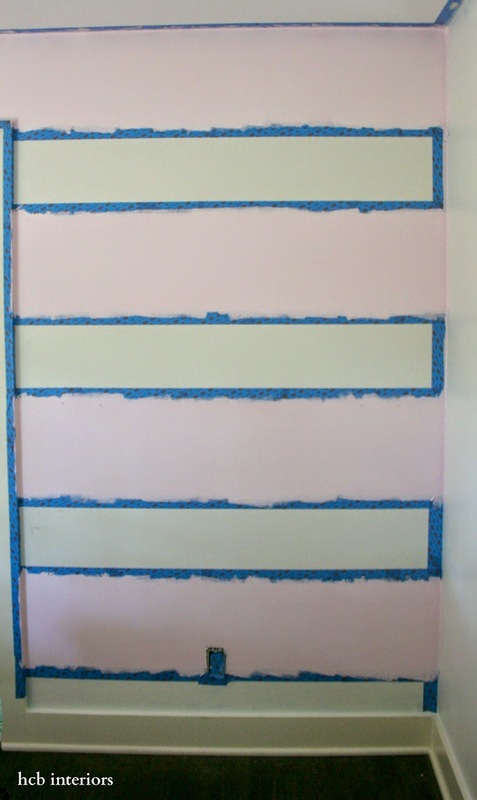 Then tape along those lines in the same manner as the horizontal, along the outer edge of the stripe to be painted. I should mention that I used a different finish for the white and pink paints; my white was a matte finish and the pink was semi-gloss. I figured the different finishes would help to enhance the gingham effect. 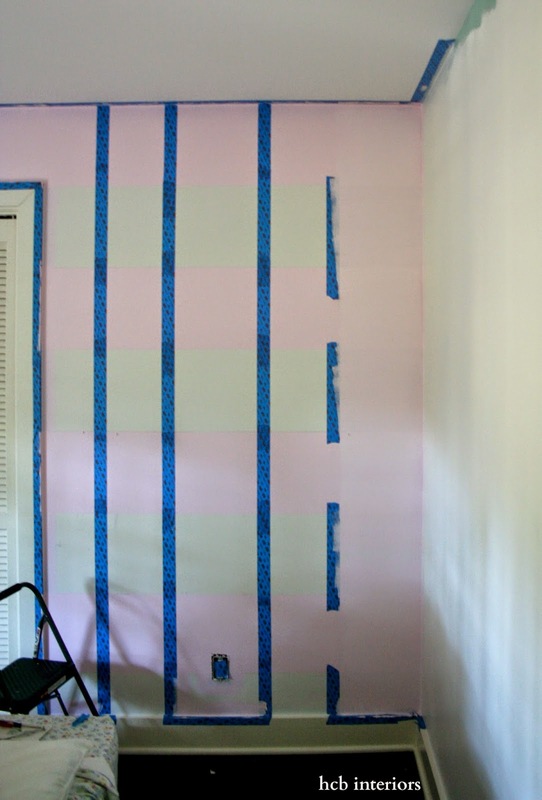 Step 5: Remove the tape while the paint is still wet, and marvel at how easy it was to paint a gingham wall! The ScotchBlue Painter's Tape with Advanced Edgelock completely prevented any paint seepage, so all of my lines were clear and crisp. I have used other painter's tape in various projects, and can attest that not all tapes are created equal. Some leak through, some tear our drywall, etc. This tape removed easily and cleanly, and truly did provide an edge-lock for my stripes. I will be using it from now on in all my projects. Please excuse the funky shadows in my pictures; the trees directly outside her window prevent a clear shot. I hope to see some of your own projects on the Home of ScotchBlue Contest website! Good luck! This is a sponsored post written by me on behalf of ScotchBlue.